Oven & Tap relies on local sourcing whenever possible, but instead of taking whatever he can get, Wetzel forms relationships with responsible Arkansas and Missouri growers. It allows him to offer a few dishes no matter the season. 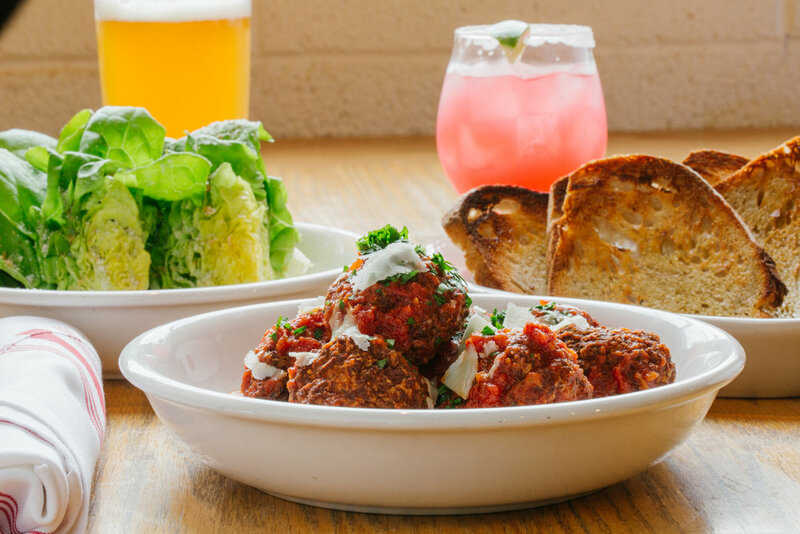 For instance, his partnership with the owners of the Bansley’s Berkshire Ridge Farm near Harrison allowed him to develop their flagship dish, pork meatballs, which he recommends to Oven & Tap first-timers. Instead of the traditional spaghetti dish, it’s paired with homemade sourdough bread. Wetzel captured a wild yeast strain and used it to cultivate a sourdough starter, and, he adds, “We still use the same starter.” The flour used to make the bread is ground at the War Eagle Mill. “It’s a true Arkansas dish,” Wetzel says. As are their brunch ricotta donuts tossed in cinnamon and served with Onyx coffee mixed with a custard sauce. “It’s a little play on coffee and donuts,” he says. Another item that’s earned a permanent spot on the menu is a twist on french fries—salt and vinegar potatoes. “We start with new potatoes, boil them in a salt and white vinegar solution, then mash them up and call them delicious,” he says. 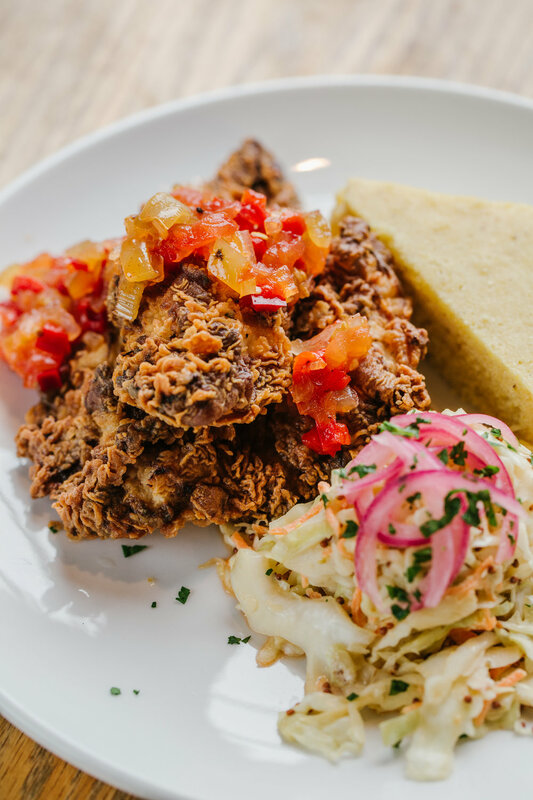 They also plate up their signature Southern fried chicken year-round. The birds are from Across the Creek Farm near West Fork. Of course, Oven & Tap also offers plenty of hand-tossed pizza options that starts with a yeasty, handmade dough and Wetzel says, “It’s a great communal table item.” If in season, he recommends Sweden Creek Farm’s shiitake mushrooms on top. May means blueberries from the Neal Family Farms near Rogers. “We go crazy on the blueberries,” and he suggests an order of their blueberry cornbread, when available. “We drop the berries on top and it makes a beautiful mosaic,” he says. During blackberry season, arugula is tossed with pecorino, blackberries and sunflower seeds. Later in the summer, the staff use vine-ripened Arkansas nectarines and bacon lardoons to create a colorful salad that’s topped with buttermilk dressing. Wetzel tells the story of a farmer who occasionally comes down from the Missouri hills and appears at his restaurant with “phenomenal” produce, including melons. “I’m not sure where he lives, and I have no way to contact him, but it’s a real win for us when his produce is in the house,” he says. That farmer’s melons star in Wetzel’s Melon and Mint Salad. Luke Wetzel, Oven & Tap owner, named his eatery after its oversized oven brick oven and 20-tap lineup dedicated to craft beers and cocktails. It’s located at 215 S. Main Street near the downtown Bentonville square and within walking distance of Crystal Bridges Museum of American Art. At one time, Wetzel worked for Scott McGehee at the Boulevard Bread Co. in Little Rock, but he was so intrigued by his boss’ tales of the famed Alice Waters that he quit and headed out West. Wetzel trained at her Berkeley, California, restaurant, Chez Panisse, and embraced her food philosophy—rely on local, seasonal produce whenever possible. “Let the depth and the layers of the flavors, the colors and textures speak for themselves,” he waxes a bit poetically. For example, like vine-ripened tomatoes, “a farm fresh egg has a more intense flavor, more color. It’s impossible to explain the difference, and you don’t understand until you take a bite,” he says. 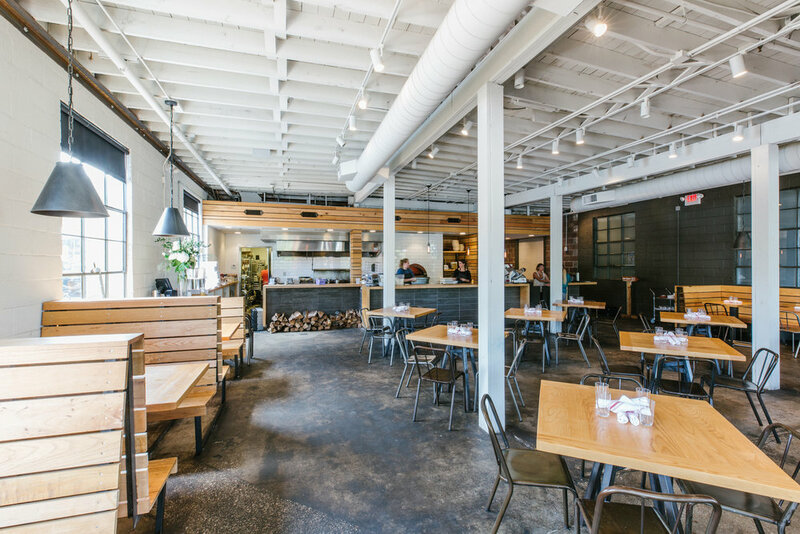 Wetzel could have remained on the West Coast but decided to get back to his roots, and once back, he worked as the Hive’s executive sous chef when it opened in Bentonville in 2012. “In the Bay Area, the [farm-to-table] story is being widely shared, but not so much here. Arkansas needs to make a contribution to that story,” Wetzel says. Although he continues in Waters’ tradition, in May 2015, he began writing his own unique chapter when he opened Oven & Tap.